O’Haire Trailers presents our economy range of Dog Trailers for sale in Mayo. At O’Haire Trailers we have a selection of new and used dog trailers and dog carriers for sale at great value prices. 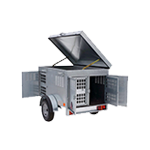 Our dog trailers are available with compartments and lighting systems built with galvanised steel construction. 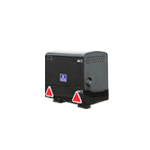 Our economy dog trailers come with a variety of door options and lockable hinged lid. We have a selection of new and used models of dog trailers for sale. Please check our brochure page for specifications and sizes of dog trailers and dog carriers for sale in Mayo.